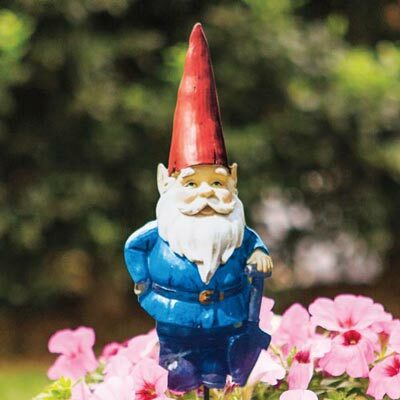 Recruit this cute assistant to accent your garden! Photorealistic, die-cut metal gnome yard stake withstands the weather and is easy to install - simply stake into the ground. 16½"h with 4½" stake. Limited Quantities!